Barry University opened its doors in 1940 as a Catholic women's college. Since its beginning, Barry faculty and administration have combined efforts to develop high quality academic programs so that needs of both the students and the local community would be served. 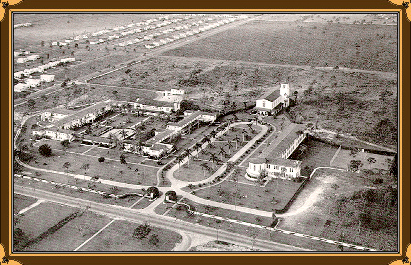 Our Historical Tour will start with an aerial view of the main campus as it was in 1952.